The 2019 Chevrolet Corvette ZR1 is the quickest, fastest, most powerful and most track-capable Corvette ever, while also being one of the best-performing American cars ever. With 755 horsepower, the new Vette is going to challenge the top supercars from around the world, but right now, all we have to go on are stated performance numbers. We learned when the 2019 Corvette ZR1 was introduced that it has an official top speed of 212 miles per hour. We learned earlier this week that the new Chevy supercar will dash from 0-60 in just 2.85 seconds while 100 takes just 6 seconds and it will run the quarter mile in just 10.6 seconds. Today, we discuss what the new ZR1 can do in the standing mile. Some of you might be wondering why the standing mile matters, since we already know the quarter mile time and we already know the official top speed. The quarter mile is the most common performance comparison since it is the most popular motorsport in the USA while also translating well to on-road performance. Top speed is more of a bragging right, as few owners get over the 200mph barrier, but it is a key marketing piece in the supercar world. The standing mile matters for two reasons. First, the standing mile has become another common comparison for high performance vehicles, serving as another great way to compare different models in a controlled setting. Second, the standing mile is a more realistic stretch for most performance car owners. Hitting the top speed likely takes a much longer track with plenty of runout area, but it is not unlikely for a supercar owner to let his or her car stretch its legs on a mile of desolate highway. In any case, the new Corvette ZR1 laid down solid numbers at The Texas Mile. 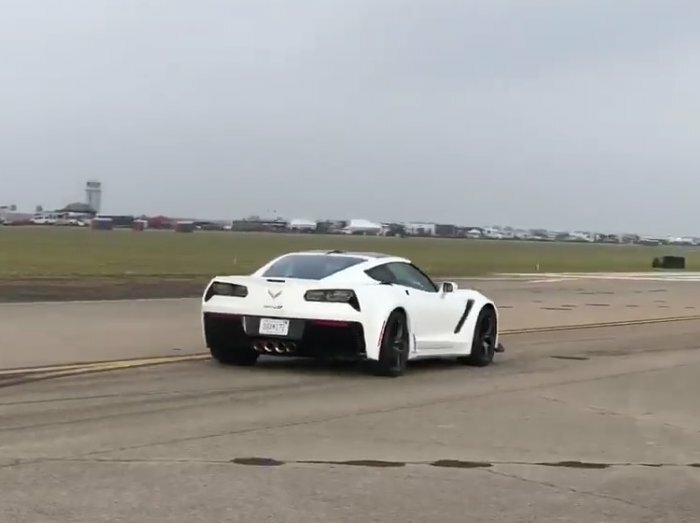 At a recent event at The Texas Mile, a 2019 Chevrolet Corvette ZR1 piloted by someone from Car & Driver made a few high speed runs. According to the information on The Texas Mile Facebook page, the new Vette was running in the 180mph range until the huge rear wing was removed. Without the extra downforce (and drag), the new ZR1 hit 190.1 miles per hour in the standing mile.